This is what we talk about all the time: free markets almost always trump the government. Walter Williams, in the following article, does a great job of explaining why. For me, the free market always wins not just because of what Mr. Williams says, but also because of how humans feel spending other people’s money. It’s human nature to care much more about spending our own money than someone else’s. The government doesn’t have a choice in the matter. It produces nothing and can only survive by taxing the producers themselves. Then it becomes really easy to take someone else’s money and spend it as they see fit. Of course, the government claims this is always for a good cause. Yeah, right. Either way, when the free market is allowed to work as intended, we get the best product for the best price. One of the most challenging and important jobs for an economics professor is to teach students how little we know and can possibly know. 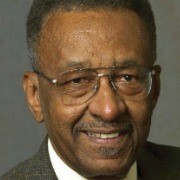 Commentary By Walter E. Williams / November 08, 2017 / Walter E. Williams is a professor of economics at George Mason University. The fact that we have gross ignorance about how the world operates is ignored by the know-it-all elites who seek to control our lives. Let’s look at a few examples of the world’s complexity. According to some estimates, there are roughly 100 million traffic signals in the U.S. How many of us would like the U.S. Congress, in the name of public health and safety, to be in charge of their actual operation? Congress or a committee it authorizes would determine the length of time traffic lights stay red, yellow, and green and what hours of the day and at what intersections lights flash red or yellow. One can only imagine the mess Congress would create in the 40,000 cities, towns, and other incorporated places in the U.S. But managing traffic lights—and getting good results—is a far less complex task than managing the nation’s health care system and getting good results, which Congress tries to do. Here’s another task I’d ask whether you would like Congress to control. The average well-stocked supermarket carries 60,000 to 65,000 different items. Walmart carries about 120,000 different items. Let’s suppose Congress puts you in total control of getting just one item to a supermarket—say, apples. Let’s not make it easy by having the help of apple wholesalers. Thus, you would have to figure out all of the inputs necessary to get apples to your local supermarket. Let’s look at just a few. You need crates to ship the apples. Count all the inputs necessary to produce crates. There’s wood, but you need saws to cut down trees. The saws are made of steel, so iron ore must be mined, and mining equipment is needed. The workers must have shoes. The complete list of inputs to get apples to the market comes to a very large, possibly an unknowable, number. Forgetting any one of them, such as spark plugs, would probably mean no apples at your supermarket. The beauty of market allocation of goods and services, compared with government fiat, is no one person needs to know all that’s necessary to get apples to your supermarket. Free markets, accompanied by free trade, including international free trade, make us richer by economizing on the amount of knowledge or information needed to produce things. Think about this morning’s breakfast. Let’s suppose you and your spouse each had four slices of bacon and two eggs. You had coffee, and your spouse had cocoa. The breakfast might have cost you $22. But what might it have cost you if instead of being dependent upon others, you were independent and produced your own breakfast? What do you know about raising pigs and their subsequent slaughter? Do you know how to cure pork to make bacon? Then there are the eggs, which require knowledge about the care of chickens. What about getting pig and chicken feed? You’d have a big problem with the coffee and cocoa. I doubt whether you could simulate the growing conditions in Brazil and West Africa. One thing that’s guaranteed is that your breakfast would be far costlier than in the case where you depended upon the benefits of skills of others that emerge from the division of labor and trade. The bottom line is that each of us is grossly ignorant about the world in which we live. Nothing’s wrong with that ignorance, but we are stupid if we believe that a politician can produce a better life than that which is obtained through peaceable, voluntary exchange with our fellow man anywhere on earth.